This week saw the introduction of a new feature from Instagram: they introduced the ‘name tag’ feature which is designed to enable you to share your profile username more easily with others. Each profile has unique code and when this is scanned by another user they can access your user profile and choose to follow you. This works when you meet people face to face and also in print. If you’re reading this and thinking ‘so what’, then you’re not alone! 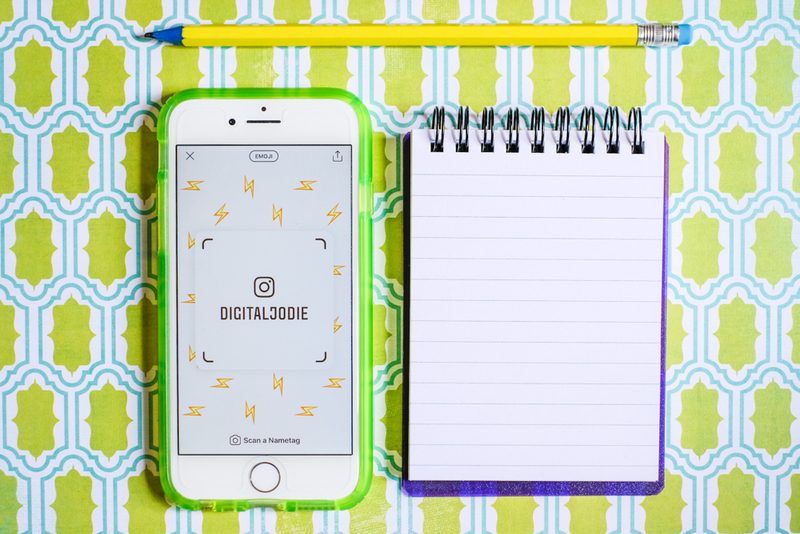 I asked my Digital Jodie Instagram followers and other small businesses to see what they thought. Turns out that we actually have a long wishlist of features that we wish Instagram would introduce! So if you often find yourself getting frustrated with Instagram you might find solace in the list knowing that you’re not alone. I’ve customised my name tag with lightening bolt emojis but you can also choose a colour or take a selfie. 11 features that small business owners wish Instagram would introduce next. One of the things that I get frustrated by is the fact that you can only have one live link on your Instagram account. In your personal profile you can add a link that people can click on, but when you are writing a caption on an image or replying to a comment, you can’t use a clickable link! You can copy and past a link for sure, but it doesn’t make it ‘clickable’ by someone reading your caption. They would have to manually copy and paste the text which is a bit of a faff. Judy Bartkowiak from NLP family says, ” I wish I could link a photo to a page on my website rather than having to change the link each time in my profile. For example, if I am posting about parents, link to the parent page rather than the more general home page. Yes, my link is generic, but I may be posting about something quite specific.”. Helen Diplock agreed: Links! I don’t get why you can’t link in posts; it would make life so much easier. Tahlia from ‘Tailored by Tahlia’ made a great suggestion: “I can’t wait for the day Instagram lets us use paragraphs in captions”. This is such a great point! I see more and more of us writing longer captions (you can have up to 2000 characters), but even though you can create paragraphs when you write the caption, they get scrunched up when you hit publish. There are various workarounds: you’ll see people adding in full stops, dashes and emojis and one article suggested I copy and paste a space that was between brackets, but that didn’t work either! When Instagram was first launched all of the posts appeared in your feed in chronological order, but they have now changed it to an algorithm of what they think you will like to see, based on your interactions with other accounts. If you want to see more posts from specific accounts, then the best thing you can do is to like and comment on their content as this signals to Instagram that they are a relevant user. Instagram stories are fast becoming one of the most popular parts of Instagram, but they have their own quirks too. Antonina Mamzenko from www.mamzenko.com said: “I wish they added more stylish fonts to Stories, so I could match my branding better. There are external apps for that, but who has the time?” Marti from weebitsocial commented : “I just want Instagram stories to work!” I know what she means! My Instagram Stories crash every time I try to publish a short video! You may have noticed on Instagram Stories that some accounts mention a blog post or product and then say ‘swipe up’ to read the post or buy the product. But this feature isn’t available to us all. In fact you need to have 10,000 followers before this works! I can understand that Instagram want to incentivise people to grow their accounts, but this sky-high figure seems to value numbers over engagement and is perhaps encouraging some to use ‘bots’ to automate their feed to help them get to their magic 10k number. I’d like to see this 10k figure lowered, or for it to be measured on engagement instead of just followers. I feel like Instagram need to do more to support small businesses and bloggers and not just the bigger influencers. Instagram has always shied away from built-in scheduling tools as they like the ‘instant’ part of their name: they want things to feel ‘of the moment’. But I find most people use Stories for these type of messages now. There are third-party scheduling tools available but in my experience, they still feel like a workaround or they can be glitchy. 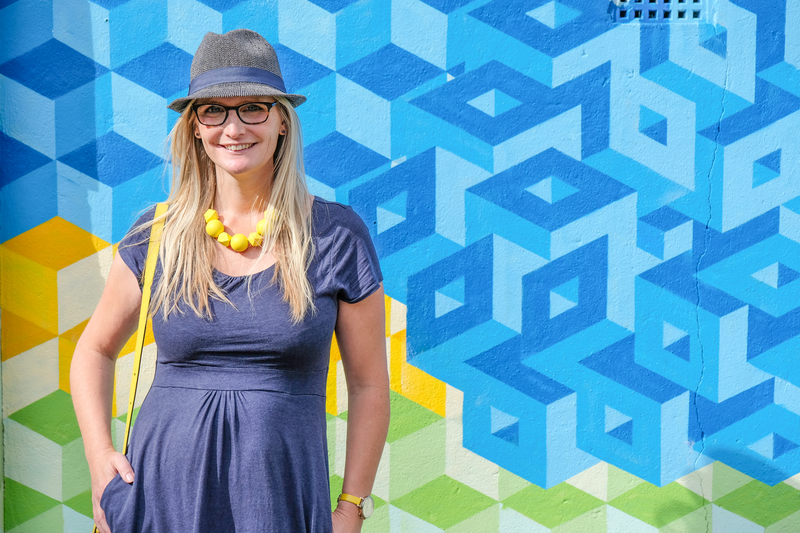 In my ‘Instagram for beginners’ workshops, I often find that people are amazed that they have to do ALL of their uploading from their phone and that they can’t use their computer. I confess that this is also my excuse for buying the best iPhone that I can afford at any given time: from the palm of my hand I need to be able to do so much! Social proof and user-generated content are big buzz words in marketing. If you sell a product and someone shares an image of them using it on Instagram it seems a bit daft that there isn’t just a ‘share’ button like there is on Facebook. There are apps that you can use (I use ‘Repost App’) and you can also take a screenshot, crop it as a square and then share it, remembering to tag the account, but this is quite a faff! Lianne from Bertelli Communications said “I’d like an easier way to share posts that you like rather than having to use a separate repost app…It’s a pain thats what it is! Mary Norman from the Patchwork Dreamer agreed: I would like to be able to share others things. I would like to be able to put links on individual posts all in the same Instagram page and not have to flick from this app to that. So there we have it! quite a long wish list for Instagram to consider. I wonder what they will think of next! Do drop me a comment if you have something else you would like to add to the list! I’m a photographer and content creator working specifically with small businesses. 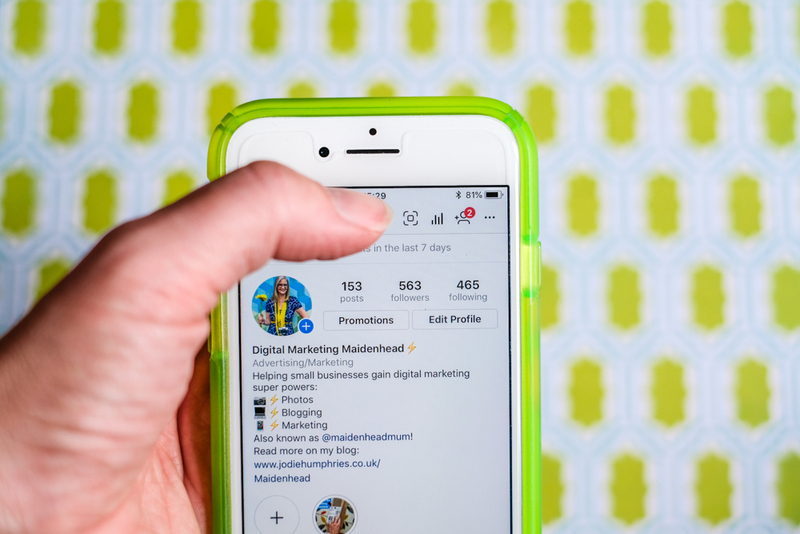 If you like what you’ve been reading so far then you’ll find lots of useful tips and tricks on my Instagram profile: search for @digitaljodie.